At the beginning of the American Revolution, Benjamin Martin is a South Carolina veteran of the French and Indian War and a widower raising his seven children. The year is 1776, and Martin is called to Charleston to vote in the South Carolina Assembly whether a levy should be passed in support of the Continental Army. Fearing the consequences of a war with Great Britain, Martin refuses to vote in support of the levy, which is nonetheless passed. Ashamed of his father's perceived cowardice, Martin's eldest son, Gabriel , enlists in the Continental Army against his father's wishes. A few years pass and Charleston falls to the British Army. During a battle, Gabriel returns home wounded and carrying military dispatches. The Martins care for wounded British and American soldiers after the nearby battle. A detachment of British Dragoons arrives, led by the ruthless and brutal Colonel William Tavington . They arrest Gabriel as a spy and intend to execute him back at their camp despite Martin's pleas. When Martin's next eldest son Thomas attempts to free Gabriel, he is shot and killed by Colonel Tavington. Tavington orders the Martin house burned, and the American wounded killed. Martin and two of his young sons get revenge by ambushing the British convoy, freeing Gabriel in the process. Only one British private survives and tells Tavington his frightening sight of a single man slaying all of his fellow soldiers before he vanished. 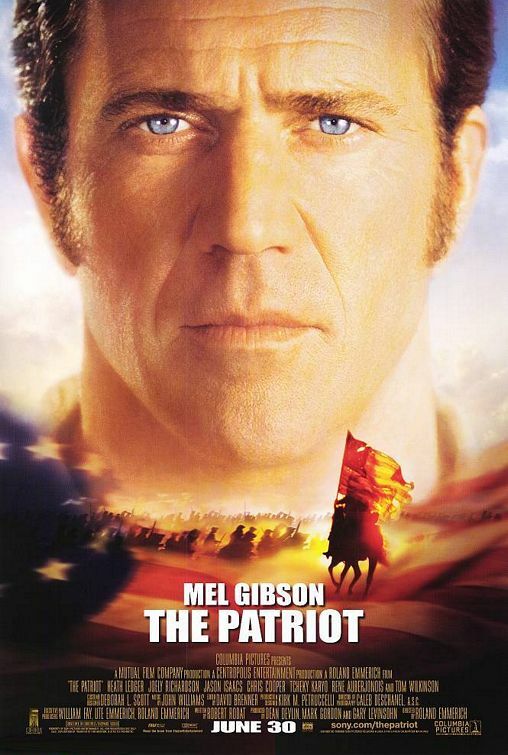 Gabriel and Martin decide to rejoin the American army and fight the British, leaving the rest of the children in the care of Martin's sister-in-law, Charlotte . Due to his battlefield experience, Martin is appointed a colonel and put in charge of the local militia. His goal will be to keep Lord Cornwallis occupied in South Carolina in order to prevent him from marching north. Martin recruits and trains his force with the assistance of Major Jean Villeneuve (Tchéky Karyo), a French infantry officer, who is assigned to Martin's South Carolina militia unit and promises French aid. The militia use guerrilla warfare, harassing British supply lines, capturing goods, and burning half the bridges and ferries leading to Charleston. These tactics earn him the disdain of Lord Cornwallis, who perceives these actions as uncivilized. He reprimands Tavington for using brutal tactics which only increase the opposition. However, irritated at the lack of progress and insulted by Martin's clever ploy to free eighteen of the militia captured by the British regulars, Cornwallis reluctantly enlists Colonel Tavington to use whatever means necessary to capture Martin and crush his militia, knowing full well the tactics Tavington will employ. Tavington learns the identities of some of the militia members and proceeds to attack their families, and burn their homes. Martin's family is forced to flee Charlotte's plantation as it is burned, and settle along the coast with a group of former black servants. There, Gabriel marries his longtime love Anne and Martin bonds with Charlotte. 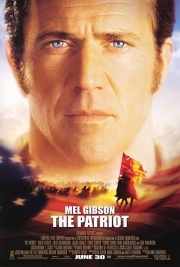 During his campaign, Tavington rides into a town known to support the militia and has the inhabitants locked in the church, but not before learning the whereabouts of Martin. He then orders the church burned, killing all inside, including Gabriel's new wife. An infuriated Gabriel, with a small group of militia, attack Tavington's encampment. Gabriel shoots Tavington, but Tavington mortally wounds Gabriel with his sword. Martin arrives only to have Gabriel die in his arms. Heartbroken, Martin briefly wavers in his commitment to fight, but later rejoins the Continental Army. At the Battle of Cowpens, the Americans and British fight in a decisive battle. During the chaos, Martin finally finds and duels Tavington. However, Tavington proves the superior fighter and severely wounds Martin. Just as Tavington prepares to finish off Martin, Martin picks up a bayonet, swings around and stabs Tavington twice, killing him and avenging his family. The Battle of Cowpens ends in a decisive American victory and Cornwallis is forced to call a retreat. After a series of defeats, Cornwallis is besieged at Yorktown, Virginia, where he surrenders to a combined American and French force. Martin returns to his farm to find his family, neighbors and fellow militia men rebuilding his home, as they begin life anew.